PAW Patrol – Season 4 (2017) – What's New on Netflix Canada Today! Six heroic puppies led by a tech-savvy 10-year-old pull of high-stakes resume missions using humor, problem-solving skills and cool vehicles. Capn’ Turbot’s weather blimp is taken by Mayor Humdinger, who plans to use it to change the weather in Foggy Bottom. Mr. Porter’s stove explodes right before the chili cook-off! Everest and Jake try to rescue a little penguin and end up floating out to sea. Katie’s kittens are all covered in mud and running amuck! If they’re not rounded up, the Cat Show will be ruined. Buddy, the playful dragon from one of Alex’s books, gets out and the pups need to get him back. Francois’s trailer unhooked, and all of his critters have gotten loose! Sweetie tries to steal the crown jewels to become the Queen of Barking burg. 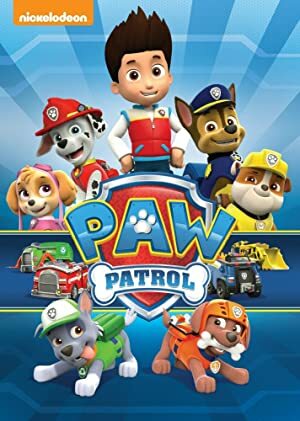 It’s up to PAW Patrol to stop her.